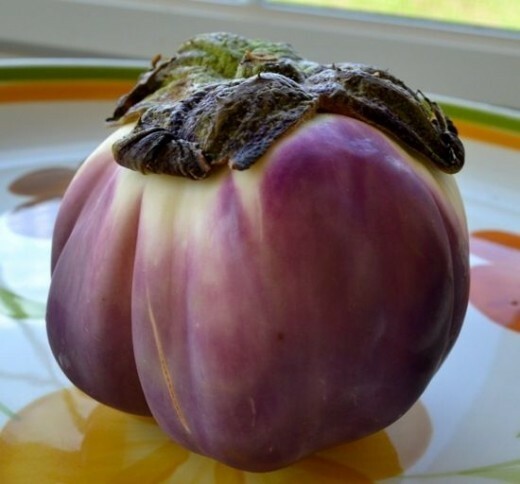 Make an elegant version of stuffed peppers with this delicious recipe featuring roasted tomatoes and eggplant. It’s vegetarian, too! What’s for dinner tonight? What’s become one of my favorite meals to make sous vide: steak! Filet mignon, to be precise. I have found nothing is more perfect to make using sous vide at home than beautiful, lean filet steaks which otherwise can be easy to overcook or end up nearly raw inside even with a good outside sear. Well, it’s been a while since I’ve checked in, mostly as July was a horribly busy month with some serious ups and downs. One of the downs was me being out of commission with a bad summer bug for several weeks. I couldn’t even taste anything at all for most of a week – what a horrible waste in the middle of the New Jersey fruit and vegetable season! An easy but satisfying pasta dish make perfect with summer’s eggplant. Late summer is the best time of year to enjoy eggplant, a versatile vegetable which lends itself to many different preparations. Eggplant can be deep-fried, oven-baked, used in stir fries and grilled. Let’s be clear – I am an unrepentant and unapologetic omnivore. While I don’t hate on vegetarian and vegans like Anthony Bourdain (“Vegetarians, and their Hezbollah-like splinter faction, the vegans … are the enemy of everything good and decent in the human spirit.”), it’s a lifestyle choice I could never make for myself and an idea that actually fills my passionately food-loving heart with dread and horror. Exploring the vast variety of foods available, experiencing various food cultures and traditions around the world…these are sensual pleasures and joys I refuse to impose such severe limitations on in my life. Of course that doesn’t mean I’m not sensitive to the real problems of factory farming and cruelty to animals that pervades the meat industries, and why I support small and ethical animal husbandry as much as possible.